So, lets come back to share my story of the day. 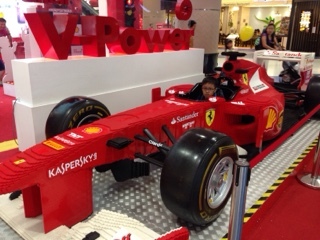 Beginning of the month, Shell petrol station came up with a series of Shell V-Power lego set up for collection. I'm very excited over the collection when first heard it over the radio ad, this is the 2nd hit of it, since the first series they have back in 2012. 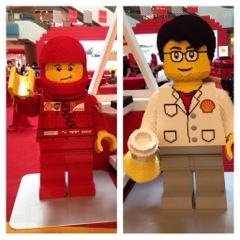 For brick toy, I'm prefer Lego more than Nano Block. 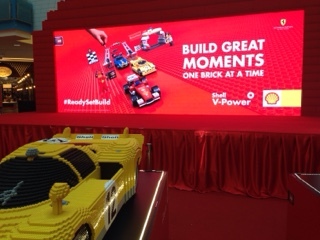 Shell is very nice this year, in conjunction with the launch of lego set, they are having Shell V-Power Lego collection road show from 5/11-8/11 at Sunway Pyramid. I told myself I must make it for this event. 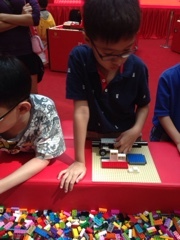 So, we went today, my boy the Lego lover of cause when crazy over the Lego model. 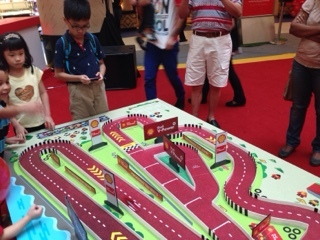 This place was like a mini Legoland for Shell, we manage to stayed here for 2.5 hours. 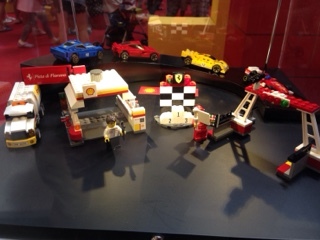 The event showcase of 4 car models, full set of the collection and 2 minifigure. 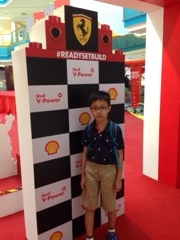 Lots of kids joining here, building their own Lego creation, snapping photos, photo with #readysetbuild upload to social media can redeem pop-corn and having fun win prizes over the Q&A section. We not back empty-handed, we managed to win a race map and box of tissue during the Q&A. 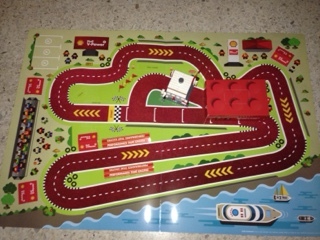 With this race map, we will be exactly complete the set once we collect all back. 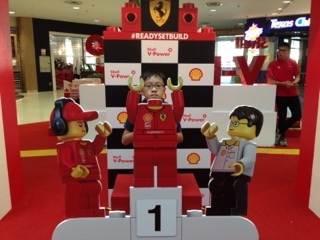 Looks like the coming up 5 more Sunday pump petrol and collecting Shell Lego is in our the to-do-list. 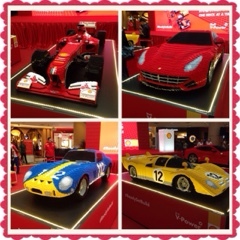 we have collecting the red one so far..